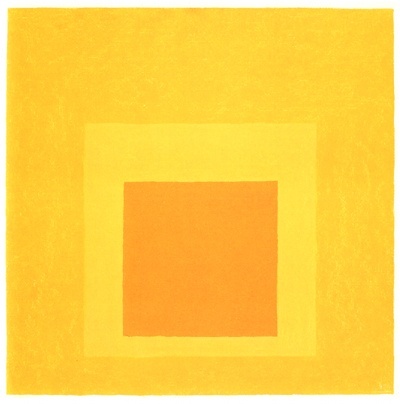 Three paintings by Josef Albers from his series Homage to the Square, exhibited in 2009 at the Casa Luis Barragán and cataloged in Homage to the Square. Homage to the Square, 1964 (p30). Click for larger version. 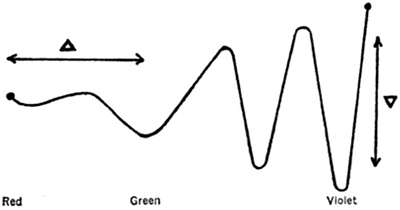 “Rainer Maria Rilke wrote of Cézanne’s work: ‘As if these colors could heal one of indecision once and for all. The good conscience of these reds, these blues, their simple truthfulness, it educates you; and if you stand beneath them as acceptingly as possible, it’s as if they were doing something for you’. This is the role that Josef Albers (for whom the discovery of Cézanne, in 1908, had been a pivotal moment of his life) gave to his color and that the square format facilitated. “Rilke wrote about Cézanne’s ‘labor which no longer knew any preferences or biases or fastidious predilections, whose minutest component had been tested on the scales of an infinitely responsive conscience’. 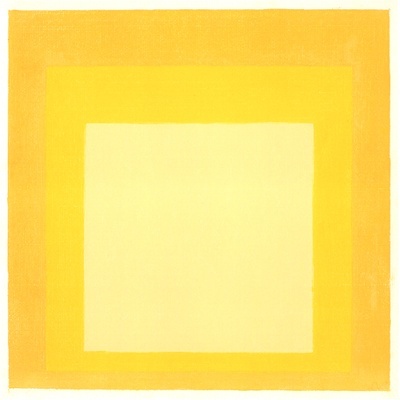 This, too, was how Albers approached color: utterly humbly, without judgment, only with a notion of awareness and service. He wanted to be the vehicle to allow color to perform. 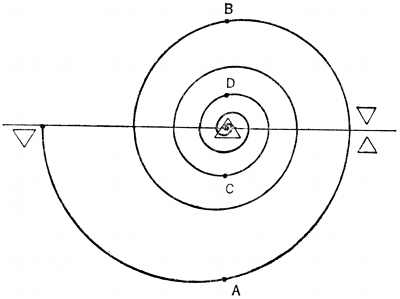 He was reverential, and tried to remove his self, and the concerns of the human ego, in order to achieve his task. Living simply, working tirelessly… Albers was like a member of an ascetic religious order—bent on delivering the message of the quiet majesty and infinite capability of color” (p8-9). Homage to the Square, 1969 (p38). Click for larger version. “Rilke said that Cézanne’s approach ‘so incorruptibly reduced a reality to its color content that it resumed a new existence in a beyond of color, without any previous memories’. 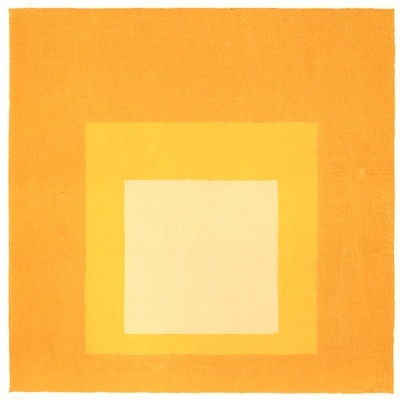 That ‘beyond of color’, another universe devoid of history or personal association or individual memory; this what Albers’s Homages make possible. These paintings are icons for meditation, offerings for both repose and excitement, for the calm of ethereal nothingness and the thrill of a vibrant symphony. They are the ‘visual resting places’ that the art historian Wilhelm Worringer… advocated as the goal of abstraction” (p9). Homage to the Square, 1969 (p40). Click for larger version. 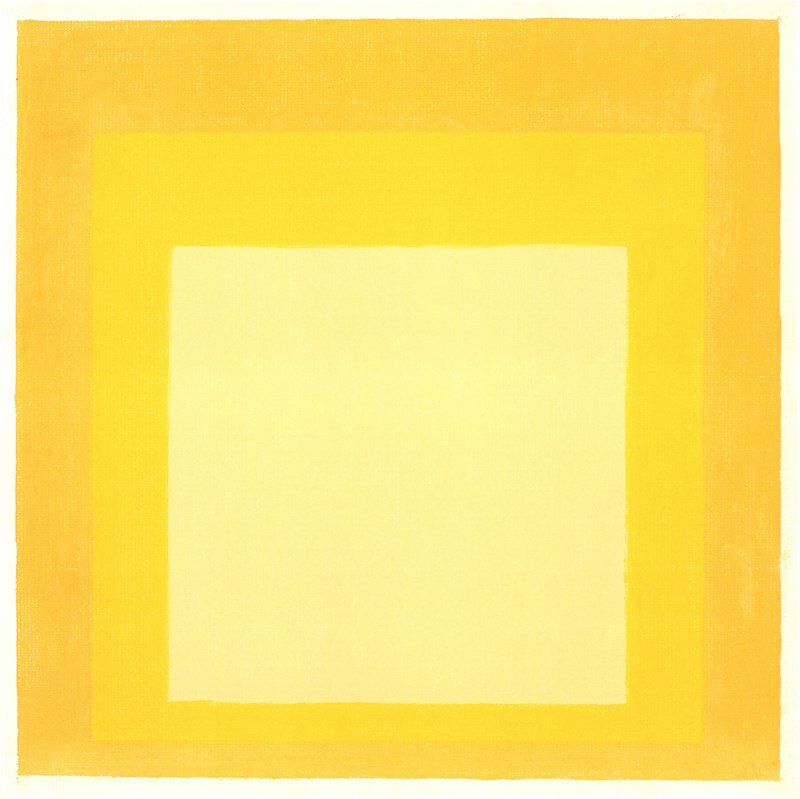 “Albers asked of his audience only that they use their eyes and be prepared to devote time to truly see the visual delights, debates, and enigmas that he set before them” (p13).